Free CAD Version 0.14 is RELEASED! It has been a long time since they’ve put out a new version and I tried to use 0.13 and I couldn’t use it due to bugs. I tried this latest release and WOW! I have years of experience with Pro-E and Solidworks and Free CAD is actually usable now! For those that do not know… this is a parametric modeler and is fundamentally different than blender in that geometry is ‘built’ one operation at a time and you can go back and edit any of these operations at any time. Free CAD is a manifold modeler in that all geometry is enclosed so the software knows the inside and outside of a part. It is also dimension driven allowing you to edit dimensions to alter your geometry at any time. 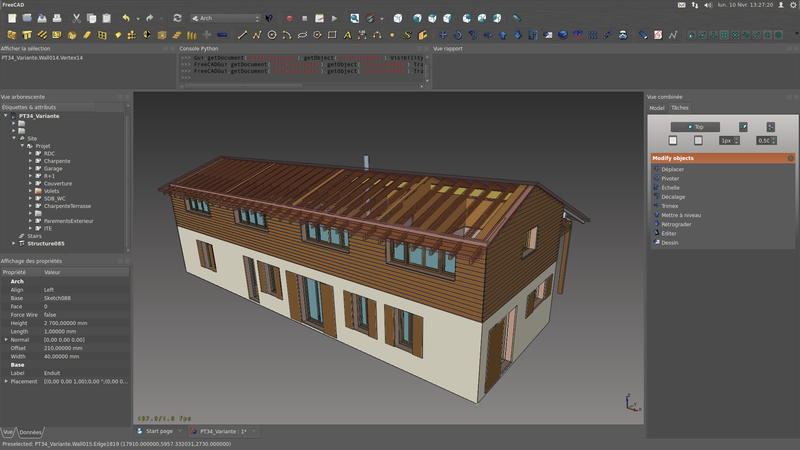 The software is meant for mechanical engineers, but has a LOT of development in architectural realm as well. It has a LOT of import export capability. Unfortunately the Assembly mode is still under development and has bugs, but once these have been ironed out the real power of parametric modelling will come into play and this package will be amazing. Sweet! I tried out 0.13 a while ago, and I was too into blender to really get into it, but maybe I’ll try again. 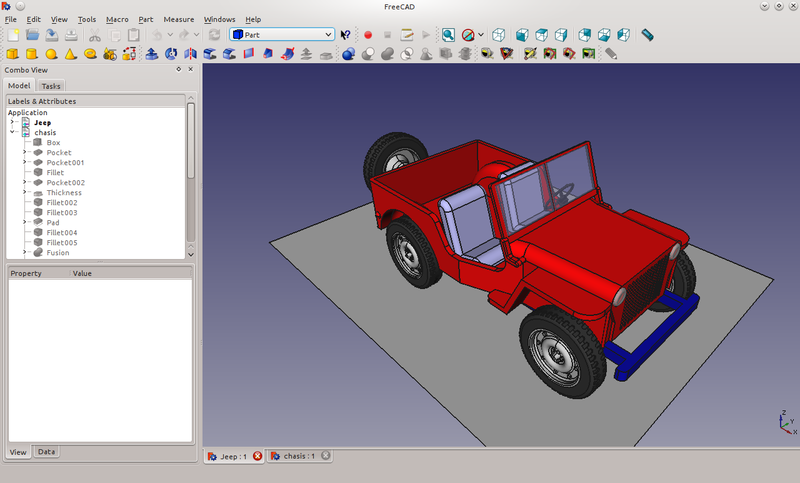 Yeah it’s worth a try, I’ve always kept an eye on FreeCAD because Blender just doesn’t do the same things. If you want to make art… blender. You want to make real/mechanical stuff… parametric modeler… apples and oranges. Going to try this new version. I couldn’t figure out how to do 3D in it, in the past however it is useful even as a 2D tool with it’s constraint system. If it’s faster and more flexibel in modelling and still stable as Sketchup then it could become interesting for architecture modells. Especially if it creates cleaner STL-files for 3D-Printing. I hope I find some time one day to test the hole workflow with it. It crashed immediately on me when I tried clicking on the part file icon at the startup screen. I found a workaround and managed to play with it a bit. Seems it’s off to a good start but I don’t think I’ll be giving up on Solidworks just yet. I do hope that they continue to develop this! I tested it few times on OS X - very impressive project. While not fully free - but you guys might want to also check out Fusion 360, free for hobby users I think. Fusion can actually work with NURBS and turn flat polygones into flat NURBS faces and sub-d mesh into TSplines which itself can be converted into form fitting NURBS. Great tool set. But it is also under heavy development, pretty crash prone on Mac. I really like the idea of parametric modelling, but would love to see it properly implemented into Blender for the purpose of animating these things. Is there any way to do such a thing in Free CAD and then export to Blender to render it out? I’m guessing probably not, but I can dream I guess! From FreeCAD you can export to mesh formats including obj and stl. Those formats can be imported into Blender. I find this a very good addition to my toolchain. I can open and process many more filetypes that were previously unaccessible. I often work with client engineering files in .step or .iges format (filetypes I can’t even open in autocad), and I would need to ask them to export to .stl for me. Now I can handle file conversions on my end. Definite improvement for me, and a fully opensource toolchain to boot! Good point. We used to download a copy of Rhino for this type of operation. I think you could save 30 different times before you had to buy a license so we treated those saves like gold! LOL. I noticed it now successfully converts Solid Works generated .STEP files that a previous version had problems with.